First, we start with the premise of our election to publish the text without redaction. We have received many offers to eliminate this passage or that passage – one commentator has demanded we subtract every mention of the word Christ (which we set forth as Mashiach or HaMashiach; i.e., the Messiah). Many claim that the New Testament was written in Greek. While that is true, its source when initially found was in Hebrew. There are so many difficulties in regard to the text. For instance, the first attempt to create a “New Testament” was the work of Marcion, who later moved in Gnosticism and was denounced by the church in 180 AD. He claimed only one gospel – that of Luke – and 10 epistles of Paul, at least two of which he penned himself (Letter to the Laodiceans; Letter to the Alexandrians), and which contained many personal redactions and edits. The gospels of Matthew, Mark and Luke are called Synoptic Gospels, because their source is from the city of Sinop, Turkey, the home of Marcion. The drive to actually publish the gospels didn’t move forward until Eusibeus (St. Jerome) came to Antioch to discuss the writings with the Jews who were of the faith there. They reported to him a gospel in Hebrew (the gospel of Matthew). He took notes, but only fragments remain. (See the Gospel according to the Hebrews.) A number of the inclusions which did not appear in the Byzantine texts were taken from these fragments. So, a quick review of the Greek and Latin texts (again, before the Textus Receptus, we have the Codex Vaticanus and the Codex Sinaiticus – 4th and 5th Centuries respectively), indicates a source no earlier than around 380 AD (other than the forgeries of Marcion). Even the list of those letters and writings which were gathered as a roster didn’t form until the Mauritorian fragment, which dates from the 5th Century. The Aramaic Peshitta, on the other hand, appears as early as the 3rd century. Returning to our decision to publish without redaction: Our premise was to gather and publish using the best known resources. While there are carpers and others who wrestle with their own biases concerning the practice of Judaism and those who have been slaughtered under the banner of “Jews”, and there are other critics who can find blemishes with every edition, every work, every text, every language, etc., we believe that the work in the Stephanus Textus Receptus is of a high enough quality and a work that has been sustained now for more than five centuries of scholarship for us to place our reliance there for purposes of review and publication. We have never claimed that our book is a Bible – a name which has its roots in paganism. Our book is called the Eth Cepher – the divine book. It has a Hebraic beginning, not a Greek beginning, as the Dead Sea Scrolls and other witnesses including the architectural record from antiquity validate. We have never claimed that the book is Jewish. There are arguments that Judaism began with the Jeroboam heresy in the Kingdom of Yitzrael back in the 9th century BC; however, I would submit that Judaism likely began with the appointment of the seventy just prior to the receiving of the Decalogue at Ciynay (Sinai). These seventy would later translate the Hebrew cepheriym into Greek for Ptolemy to create the Septuagint. These seventy came to be called the Sanhedrin, who were disbanded for several centuries following the expulsion from the Holy Land in the second century AD. Modern Judaism derives from the coalescing of the Babylonian Talmud in the 4th century, which in its adoption of the Mishneh (the duplicate), appears to be primarily derived from the practices of the Pharisees now under a Rabbinical leadership paradigm. The Jewish Holy Book is in the Kerarite tradition, the TaNaKh; but in the orthodox tradition, the Babylonian Talmud, with its accompanying Misneh. 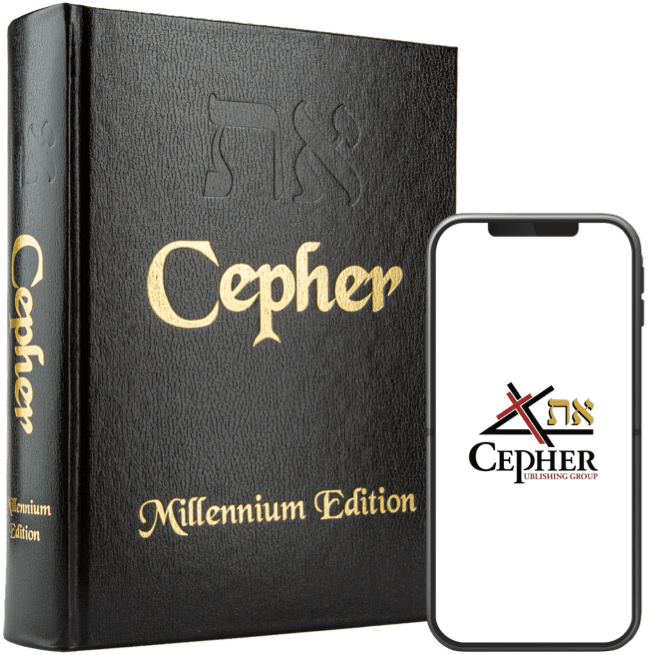 We have never claimed that the Eth Cepher was a TaNaKh, a Talmud, or a bringing forth of the Mishneh.